Compass is building the first modern real estate platform, pairing the industry’s top talent with technology to make the search and sell experience intelligent and seamless. All Compass agents are empowered to have more time advising their clients with solutions to real problems. 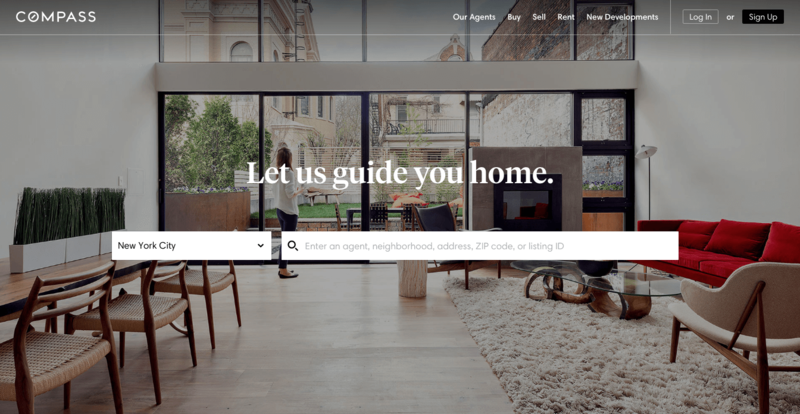 Being technology driven, Compass has built a proprietary platform that changes how agents and clients navigate the process of finding and selling homes. Through the partnership between Compass and Furnishr, Compass clients will benefit from exclusive offers on Furnishr rooms. Together, Compass and Furnishr will find you the perfect home and let you enjoy the 'move in ready' experience. Start by browsing through the listings on Compass. Change the Currency from usd to cad? Product prices, shipping charges and taxes will be adjusted to reflect the new currency. Delivery timeframe may also be changed. We will change the currency of your order to correspond to your shipping address. Be the first to see new designs, promotions and more.